Before the internet age you could walk into a betting shop and place a wager on a very limited number of sports. Perhaps you would place a football bet or back a horse or greyhound, you might go left-field and back a rugby team or a snooker player, but in general your options we’re restricted. The rise of online betting has changed all of this. Now you can simply log into a betting site and within a click or two you can bet on tens of different sports you would never have thought of before, some you may not of even heard of. 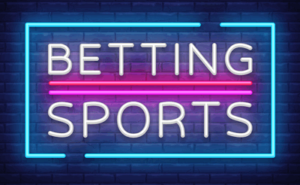 Within these sports you can also bet on up to hundreds of different markets too, but how do you know how to bet, where to bet, or what to back? This is why we’ve created a sports betting guide section for BettingWebsites.org.uk where you can find everything you need to know about a sport before you bet on it. We are a UK website and so the sports we’ve listed on this page are those that would be more unknown to a British audience. We haven’t covered the traditional sports like football, horse racing, rugby, tennis, snooker, darts, etc., as there are a million guides out there on how to bet on them. Rather here we are trying to give you insight into those 20 or 30 bookmaker markets you might not have a clue about. Even if you do know a little bit about some of the sports on this page our comprehensive guides will still be useful to you as we cover each sport in great depth. If you fancy branching out and backing a Futsal team, a chess game, handball match, Aussie Rules, lawn bowls, etc., then we’ve got you covered. There is no reason to just place a random wager for the sake of it, if you fancy trying your luck on some more obscure sports then it helps to brush up on the basics first. In our sports guides you will find everything you need from how the games are played, major competitions, history, trivia and facts and most importantly how to actually bet on them. The aim of Aussie Rules Football is to score more goals than the opposition, but once you move past that the rules become a tad more complex. As an example, pitches that are used for Aussie Rules games don’t have an specific dimensions that must be adhered to, meaning that the game is often played in the likes of cricket grounds and other areas with an oval pitch. 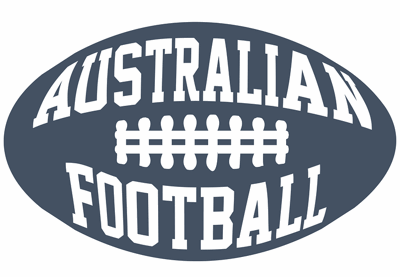 The game began to take on real significance with the formation of the Victorian Football League in 1896. Chess is one of the oldest and most challenging games around, it has been around in various guises for over 1500 years and is still revered as one of the most intellectual pursuits there is. With so much strategy involved it can be difficult to predict, but if you like to bet on the sport of Chess make sure you know what you are doing and where the best places to wager are. Futsal is essentially a small version of five-a-side, but played with very specific rules that make it a fast and frenetic sport to watch and play. Having started life in Uruguay and on the streets of Brazil, it has since gone on to be the only version of five-a-side officially approved by FIFA. As well as South America the sport is popular also in parts of Europe, Russia and Japan. Punters enjoy its high-scoring nature and the fact that it is relatively new, making it fun to bet on.